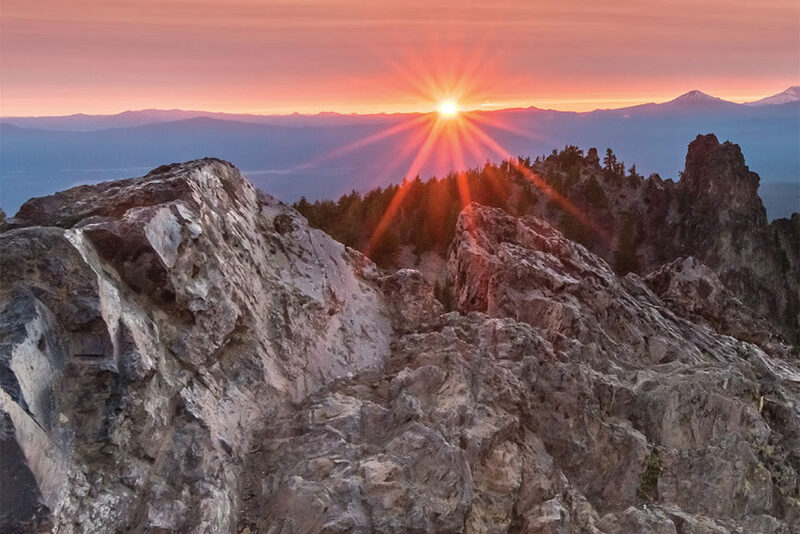 Known for its vast landscape and spectacular recreational access, Central Oregon offers endless opportunity to the vacationer and full-time resident alike. 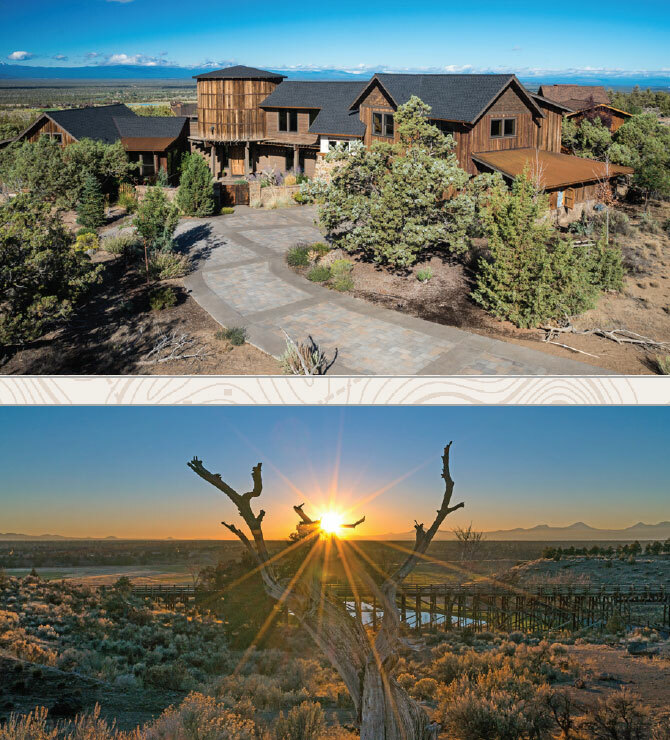 Whether a resort vacation or ranch homesite, the options in and around Bend intertwine affinity and reverence for the outdoors with an ease of life that provides for its enjoyment. Whether its golf, mountain biking, riding, skiing, or simply taking in the view, residing in and around Bend meets these fancies and more. From nightly rentals to luxury estates, secluded to convenient, these luxury homes integrate outdoor enthusiasm with high-end living. Best known for its two championship golf courses, Pronghorn blends sophistication with accessibility for vacationers and residents alike. 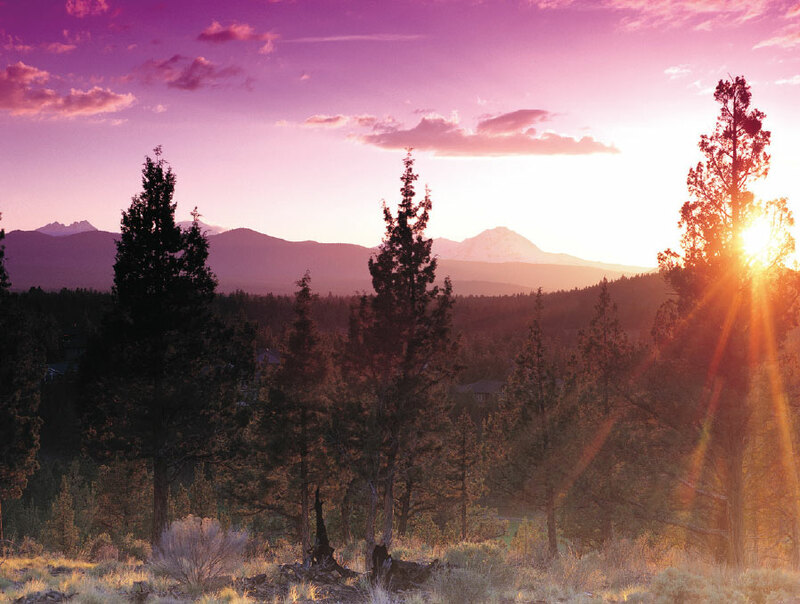 A private haven just minutes from downtown Bend, Pronghorn is surrounded by 20,000 acres of BLM land, ensuring everlasting views in a location guaranteed to be preserved for years to come. Lynn Larkin, Director of Real Estate Sales at Pronghorn Realty LLC, shares the draw of Pronghorn, saying, “People love it here because you’re only a few minutes from town, but you have unobscured views of the Cascades. You can enjoy world-class golf here and because it is surrounded by BLM land, no developments can ever come closer!” In addition to being skirted by BLM land, Pronghorn exists within the second oldest “Juniper Preserve” in the world, adding to the private elegance Pronghorn is known for. Pronghorn’s two 18-hole golf courses have been rated in the top 100 in the U.S. by Golf Digest, and are both in the Top Ten in Oregon. The Tom Fazio Championship Course and the Jack Nicklaus Signature Course both offer year-round play in the high-desert climate. “Jack Nicklaus used a minimalist design to frame the mountains on a course for every skill level. This 7,239-yard, par-72, 18-hole course is open to daily and resort guests and places the emphasis where it should be—on the game of golf itself,” shares Larkin. 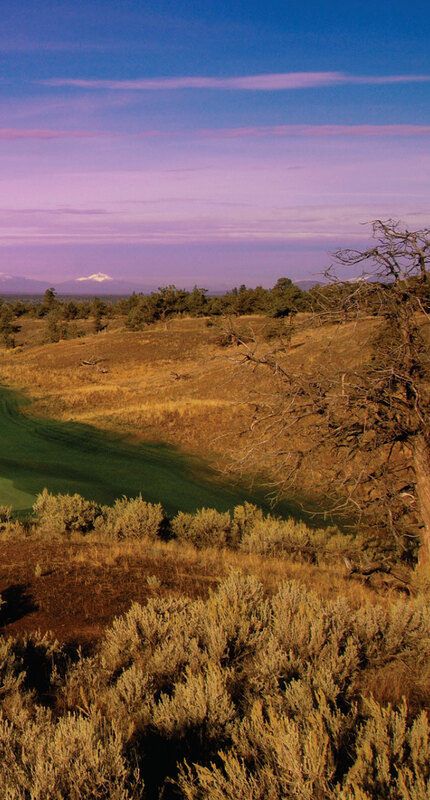 Private to Pronghorn residents, the Tom Fazio course features a mix of rolling fairways, ancient lava tubes, and dramatic juniper trees for 18 completely unique and challenging holes. The Estates at Pronghorn is a community gated within the greater resort, offering half- to one-acre luxury homesites, all with flexible design. Larkin notes, “Many of these majestic homesites border the Fazio and Nicklaus golf courses, or BLM wilderness, offering expansive views and an intimate connection with the land.” The Four Peaks community offers another 79 quarter-acre lots in the core of Pronghorn with immediate access to all of Pronghorn’s amenities. A 55,000-square-foot clubhouse, fitness center, tennis courts, basketball courts, pools, hot tubs, spas, scheduled kids’ activities, and bike paths offer access to Oregon’s beautiful recreation. Two on-site restaurants, the Trailhead Grill and Cascada, offer a variety of dining pleasures. 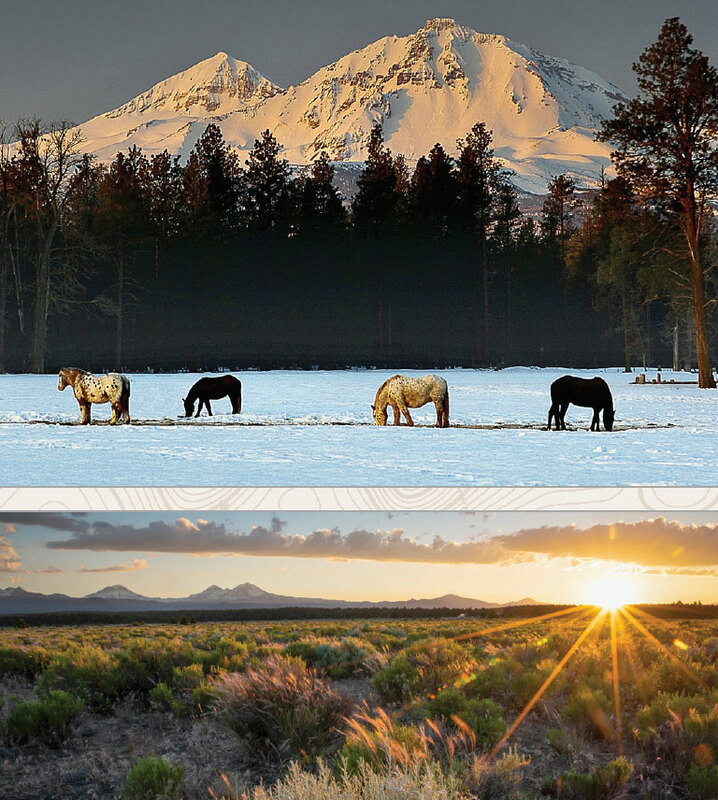 “At Pronghorn, we take inspiration from everything that brought us to Bend, Oregon. Luxury homes, golf courses, and recreational amenities are designed to not just offer spectacular views of the high-desert landscape—they’re also designed to invite you to get out and explore it all,” shares Larkin. Only ten minutes from Bend, Pronghorn offers free shuttles to both Mt. Bachelor and the Bend Airport for its members. Pronghorn is also very pet-friendly, providing for a true whole-family experience. Coming in the spring of 2019, Pronghorn is adding a 104-room boutique hotel in the heart of the property. The Huntington Lodge will add to Pronghorn’s establishment as a destination for conventions, weddings, golf tournaments, and family gatherings. Guests at the Huntington Lodge will enjoy all of Pronghorn’s amenities—pools, spa, signature restaurants, and golf. 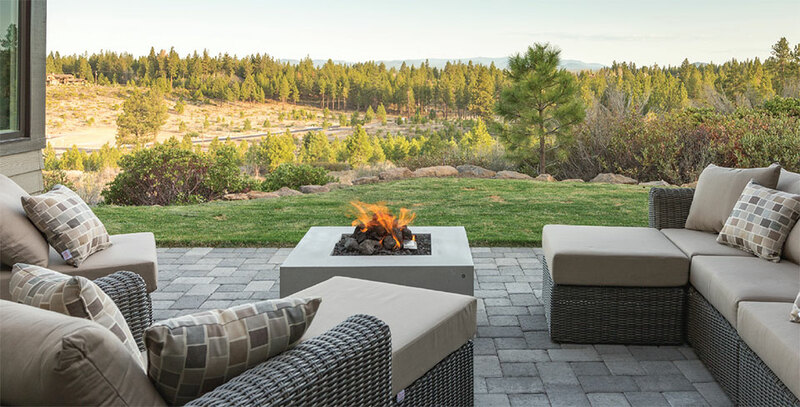 Pronghorn’s private elegance gives its guests and residents a secluded getaway amongst Central Oregon’s quintessential outdoor appeal without sacrificing convenience. Pronghorn’s slogan—“Living Well. Perfected.”—speaks to their commitment to a high-end ease of life in a stunning setting. 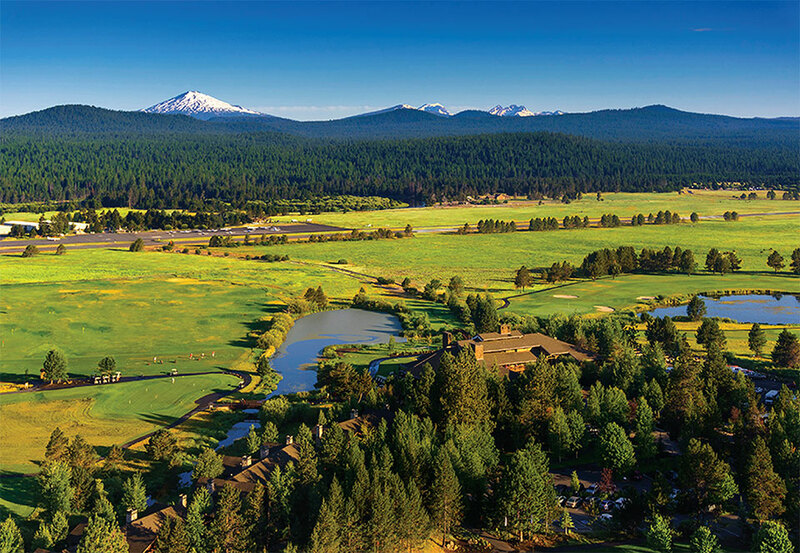 Located outside of Sisters, Oregon, Black Butte Ranch offers a destination resort that stands out in its value of “understated elegance,” according to Kirk Schueler, President of Brooks Resources Corporation. 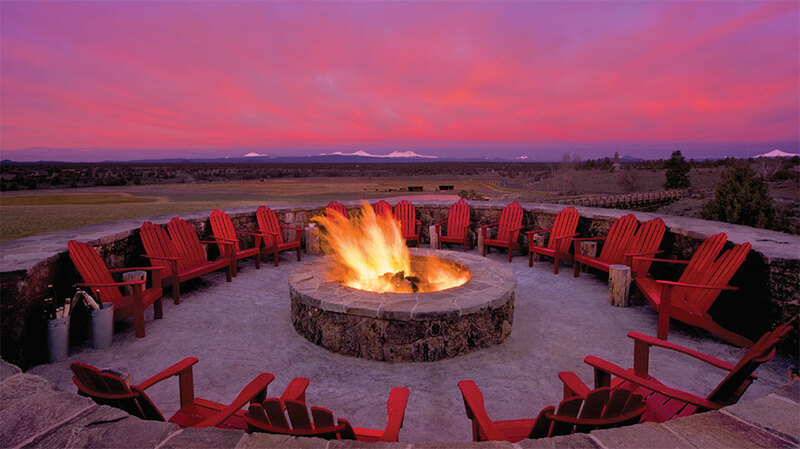 Originating in the ‘70s, Black Butte Ranch has historically been the local Oregonian getaway. 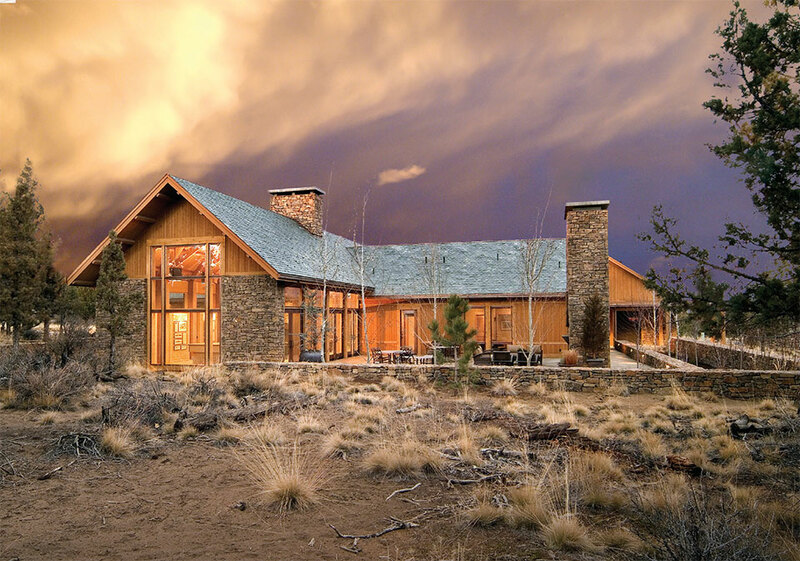 “Rather than an over-the-top wealth statement, people are pleased to reside at Black Butte Ranch because they can have a nice home with outdoor access and beautiful views. People find a quieter pace of life at Black Butte Ranch, and come back generation after generation,” shares Schueler. 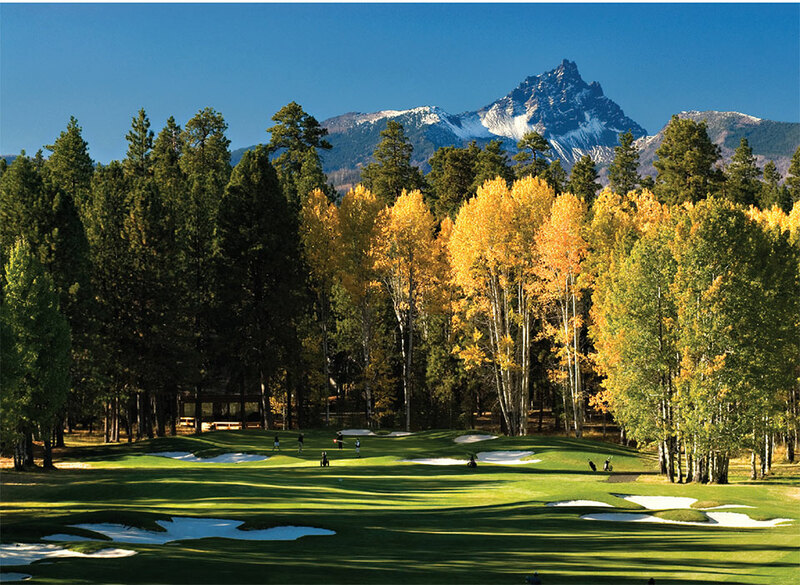 Nestled amongst tall ponderosa pines, aspens, and firs, traditional east slope forest, with easy access to the Cascades and the Pacific Crest Trail only minutes away, Black Butte Ranch’s value is inherent to its place. Land use laws prevent sprawl from ever reaching this haven, preserving the natural beauty that is such a large part of its value. 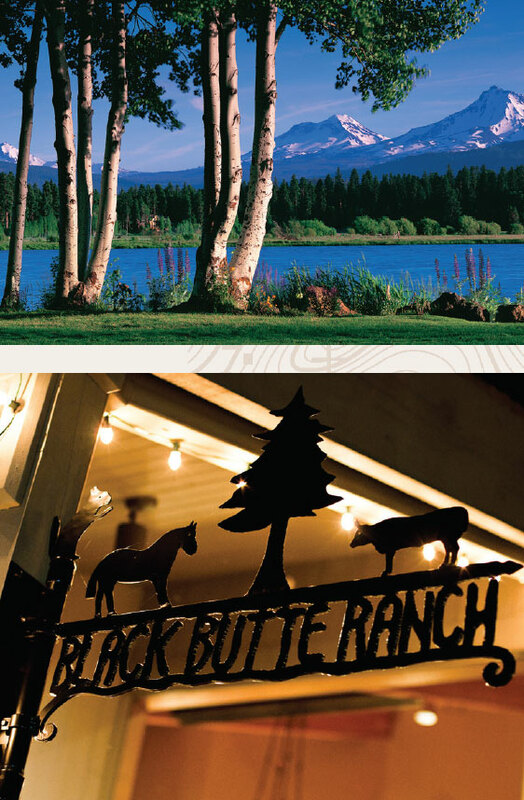 Black Butte Ranch enjoys its own private lake, spa, stables, and trails, for the full getaway experience. 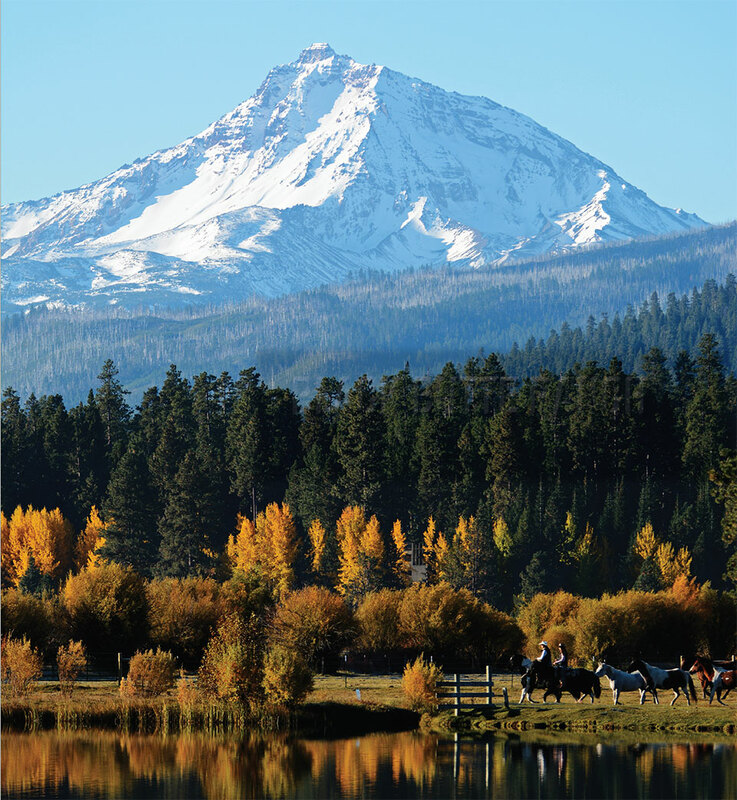 Located in close proximity to the town of Sisters, residents of Black Butte Ranch can enjoy a remote getaway while still maintaining access all the offerings of a bustling town—shops, restaurants, medical clinics, and other services. At Brasada Ranch, physical geography contributes to an exquisite experience. “A key thing that differentiates us is the expansiveness created over the 1,800-acre resort. 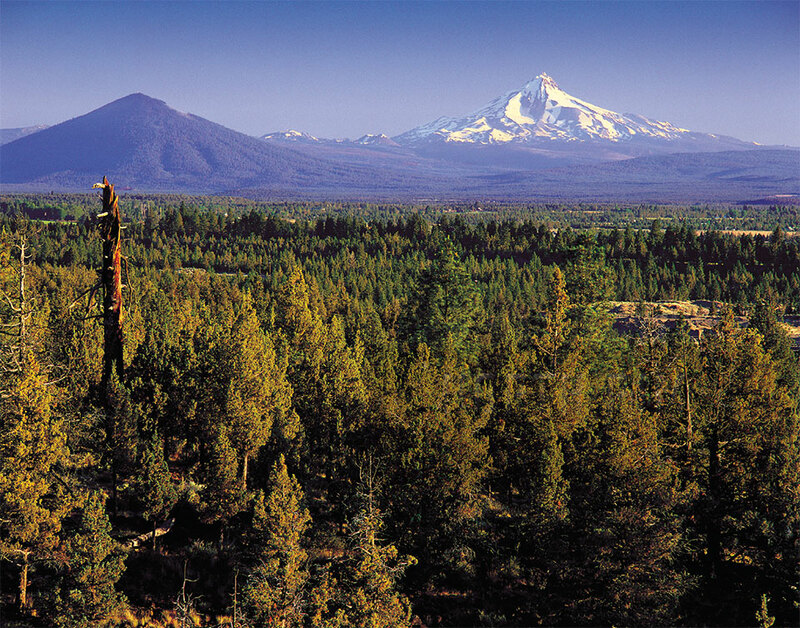 The views are the best in Central Oregon, expanding to nine Cascade Peaks. Perched in the Pownall Buttes, Brasada overlooks the desert floor as well,” shares Alan Cornelius, Director of Real Estate at Brasada Ranch. With easy access to the mountains and surrounding areas, Brasada remains in the rain shadow of the Cascades, offering consistent dry weather year-round. Whereas Mt. Bachelor gets around 400 inches of snow a year, and Bend gets 70-90 inches, Brasada averages only about 20 inches annually, offering year-round fly fishing, mountain biking, hiking, and golf. Brasada Ranch offers various real estate options on its nearly 2,000-acre property homesites, where clients design and purchase their own homes, re-sales (spec or custom), and cabins. With roughly 750 homesites to be developed in total, there are 165 completed homes with over 40 homes under construction presently. Brasada is positioned to have over 200 homes completed by year-end. Whether a full-time resident or vacationer, all residents are members of the club at Brasada Ranch. Club membership offers access to abundant amenities, a private member’s restaurant, golf courses, pools, and fitness center, to name a few. Beyond its physical offerings, Brasada creates a sense of community through membership. “We create a storyline with the amenities. We offer a sense of place, bringing in artists, educational events, winemakers’ dinners, wine tastings, trips, potlucks, all offering a sense of community, and all first-class Brasada experiences,” shares Cornelius. The ownership of Brasada Ranch continually invests into the property year after year. For 2019 alone, the ownership group is investing nearly $3.5 million back into Brasada as the community and resort continue to grow. Adding new amenities along with tangible growth on property ensures that Brasada Ranch is in tune with and stays in front of increased density. “New for 2019 will include an adult-only pool, a new fitness studio, additional barn space at the equestrian center, and a golf simulator,” adds Cornelius. 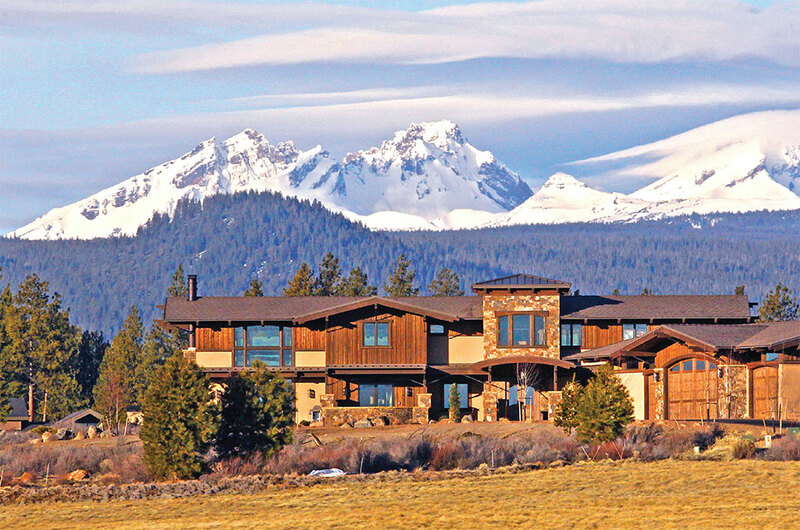 Situated on 700 acres on Bend’s west side, Tetherow boasts beautiful views of the Cascade Mountain Range to the west, and the Deschutes River and high desert to the east. Only 30 minutes from Mt. Bachelor, and minutes from downtown Bend, travel to and from Tetherow is extremely easy. The attraction to this unique property is reflected in Tetherow’s growth rate. 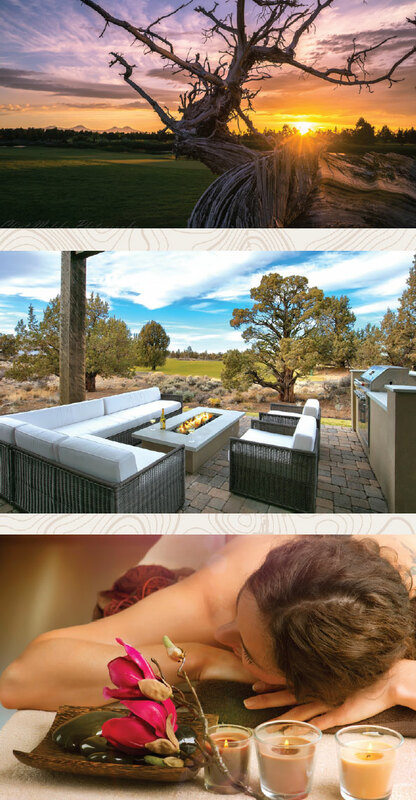 “Tetherow is Bend’s fastest-growing community; more homes are now available than ever in the history of Tetherow. In this exclusive community, you’ll find everything from luxury homes in the Trailhead neighborhood to the smaller, finely appointed Cairn Cottages,” shares Chris van der Velde, Managing Partner at Tetherow. 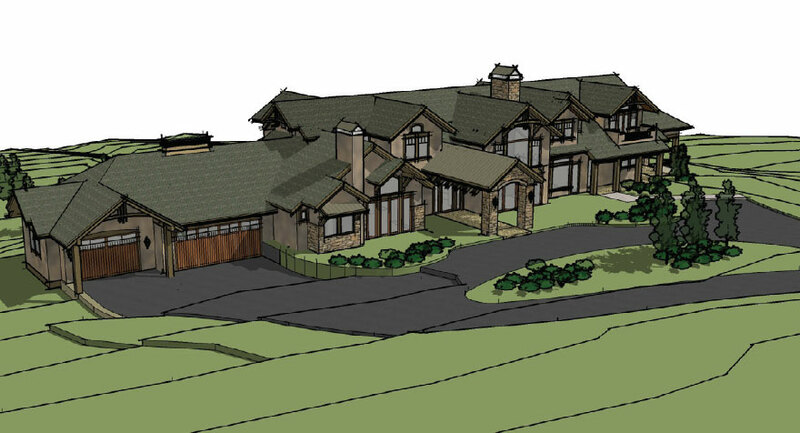 Additionally, Tetherow offers custom-built homes on site, or the option to purchase prebuilt estate homes, as well as a resort-backed rental program. Tetherow’s extensive amenities are a distinct attraction to the resort. “Tetherow is a robust community, boasting a 7,298-yard Scottish links-style David McLay Kidd-designed championship course, golf academy, 50-room boutique hotel, year-round pool, health and wellness facility, event pavilion, three restaurants, vacation rental homes, and various rental neighborhoods,” adds van der Velde. Tetherow also maintains a commitment to less tangible community offerings, bringing residents together with holiday dinners, trivia nights, and seasonal parties. 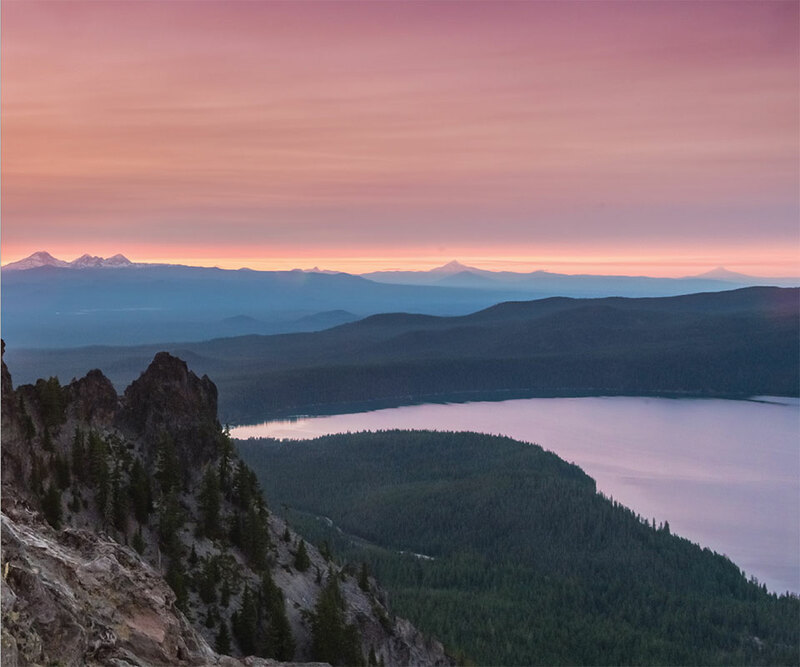 A community deeply entrenched in the natural appeal of Central Oregon, Tetherow has residents and visitors who enjoy direct access to trails in the Deschutes National Forest for hiking and mountain biking. “Tetherow—and Central Oregon as a whole—draws in people who enjoy the high desert air, countless outdoor recreation opportunities, and stunning landscapes,” shares van der Velde. 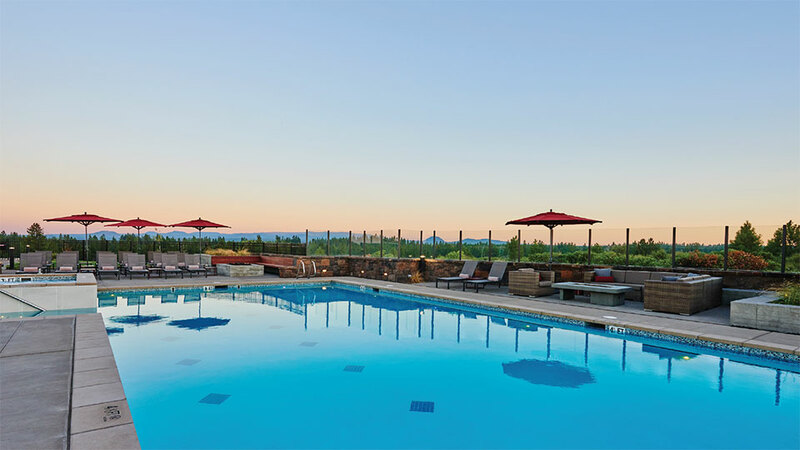 The recently-opened Tetherow Sport, a new fitness facility with a year-round swimming pool, is just one of the offerings that maintains this value of the Central Oregon outdoor experience. With more homes available now than ever before in its history, home ownership is incredibly accessible at Tetherow. “Located right in the heart of the resort, prices for the modern and elegant Cairn Cottages range from $489,000 through $968,890. These wonderful cottages are managed by Tetherow Management, making for worry-free home ownership and income generation from renting the homes when owners are not in residence,” adds van der Velde. 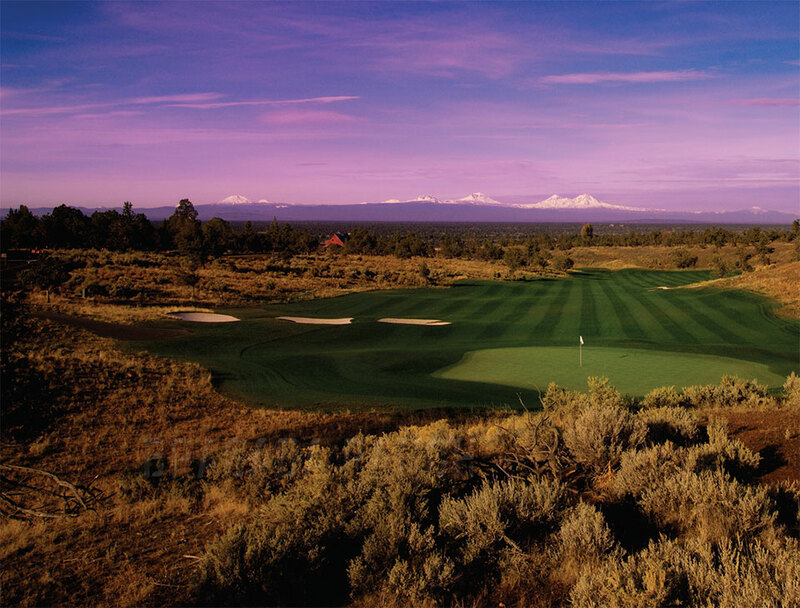 “Tetherow is also Bend’s first true luxury community, combining easy access to fun recreational activities, as well as cultural opportunities for all,” shares van der Velde. North Rim maintains common areas for its residents, including hiking trails, a main lodge for shared use, tennis courts, and a two-acre grassy park. Within the city limits of Bend, the private community of North Rim sits upon the northwestern face of Awbrey Butte, with panoramic views of the high Cascades as well as the Deschutes River, while maintaining immediate downtown access. North Rim has 121 one-acre lots in its gated community, each boasting homes of 3,300 square feet at a minimum while maintaining intentional fluidity with the native high desert landscape. 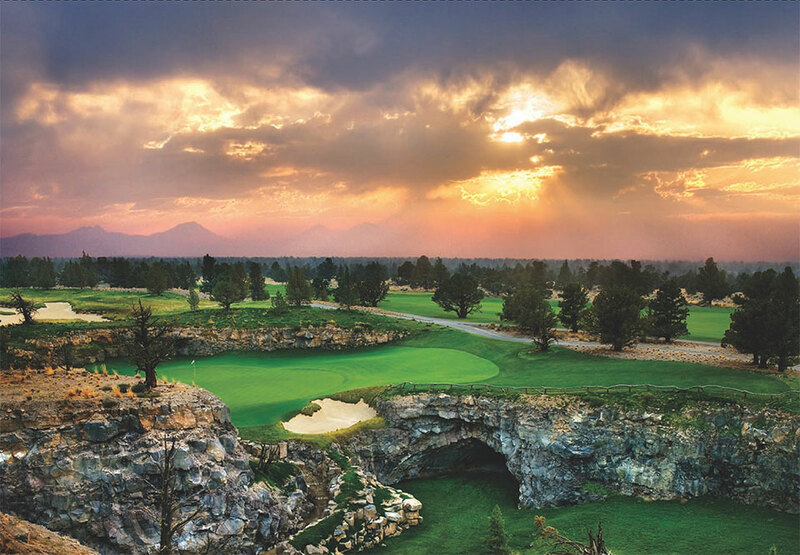 North Rim was founded in 2004, and the developers prioritized keeping the natural setting as pristine as possible, a mission maintained in their design guidelines today. North Rim emphasizes natural landscaping—sage, bitterbrush, and scattered ponderosa and juniper trees native to the high desert environment. While an architectural and landscape review committee maintains a high-quality aesthetic standard, no two homes are alike, allowing for diverse architecture and vibrant outdoor living spaces that all blend with the natural environment. In 2015, North Rim became a Firewise Community, supporting healthy native landscapes and wildlife habitat, as well as creating defensible space around homes and landscaping with fire-resistant plants. North Rim maintains common areas for its residents, including hiking trails, a main lodge for shared use, tennis courts, and a two-acre grassy park. Access to the North Rim Lodge is exclusive to owners at North Rim, available for anything from a private party to meeting for a cup of coffee. North Rim’s private tennis court sits beneath the stunning backdrop of the Cascades, arguably one of the most spectacular in Oregon. Residents also have direct access to the ten-mile Deschutes River Trail, providing access for recreation and a vital connective route to downtown Bend. North Rim is enjoyed by a majority of retired residents, with fewer families with young children. 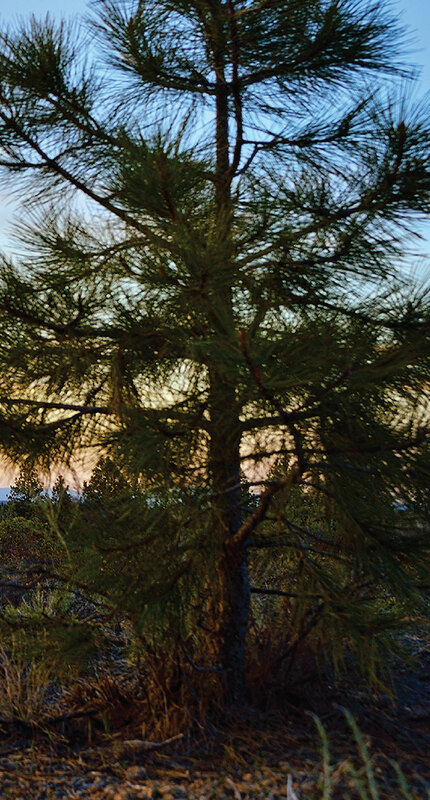 In a community known for its high-quality living environment that maintains a commitment to its natural surroundings, North Rim shares the value of outdoor access and enjoyment that brings so many people to Bend. Tree Farm was developed in 2016 specifically as a low-density residential area in a series of clustered homes adjacent to Shevlin Park. From its inception, two defining factors at Tree Farm are a priority on open space and fire-resilient practices. “Tree Farm isn’t heavily amenitized other than by the open space. That is the amenity. Of its 500+ acres, 100 acres are in buildable lots, roughly 20 acres in roads, and 400 in open space,” shares Kirk Schueler, President of Brooks Resources Corporation. With all 50 lots developed at once, residents enjoy a sense of architectural freedom; the architectural standards merely suggest that homes “fit in with the surroundings.” As Schuler notes, “The classic Northwest heavy timber home is popular, and modern homes look quite elegant, too.” While some lots are fully forested and some have an open feel, stunning views of Central Oregon define the area as a whole. And it’s not just the views but access to the surrounding area that is a priority. 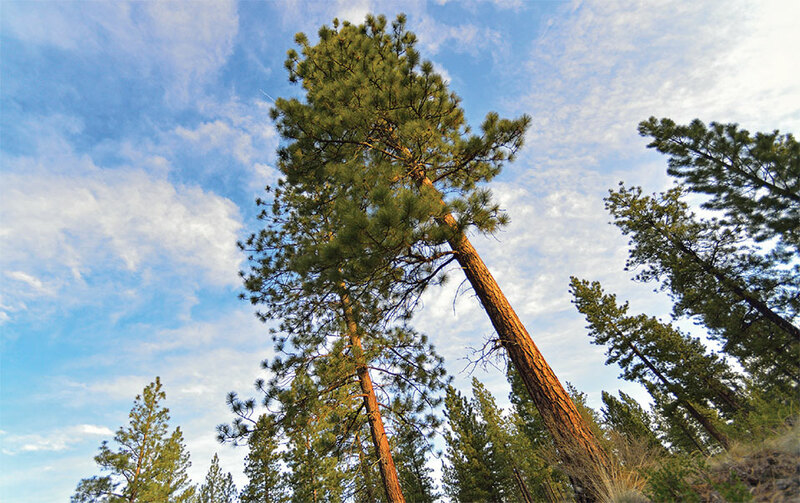 Residents can walk directly from the doorstep of their homes in Tree Farm to Shevlin Park and the U.S. Forest Service land that surrounds it, via paved trail initially, and then by a network of the soft trail system that connects directly into this regional park. 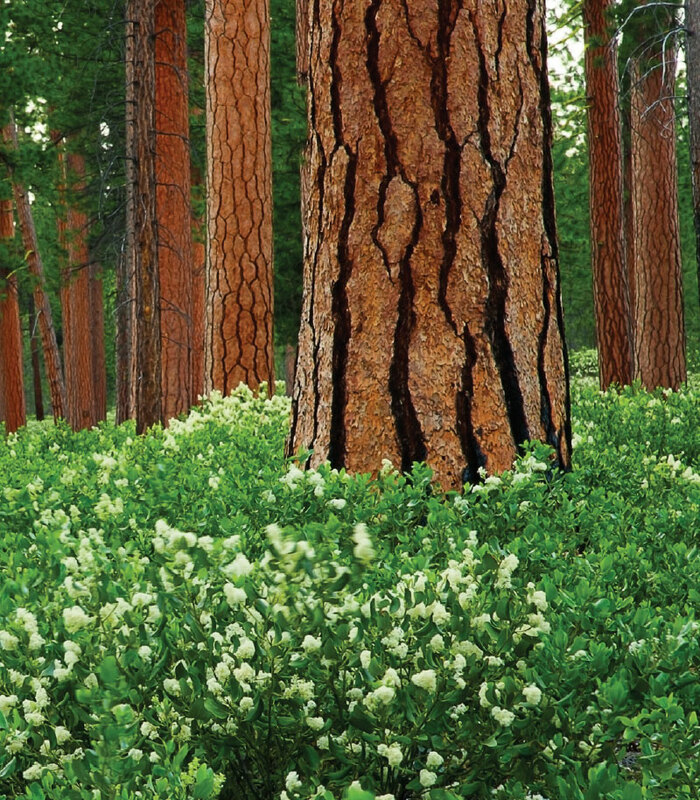 The location adjacent to Shevlin Park and Forest Service land offers Tree Farm both the opportunity and challenge as a fire buffer in this wildfire-prone environment. Tree Farm embraced this challenge from its conception, adopting building codes for fire resistance and resilience that have begun to be adopted across the greater area as well. “Tree Farm is the first residential community that’s used these standards from the ground up,” Schueler shares. 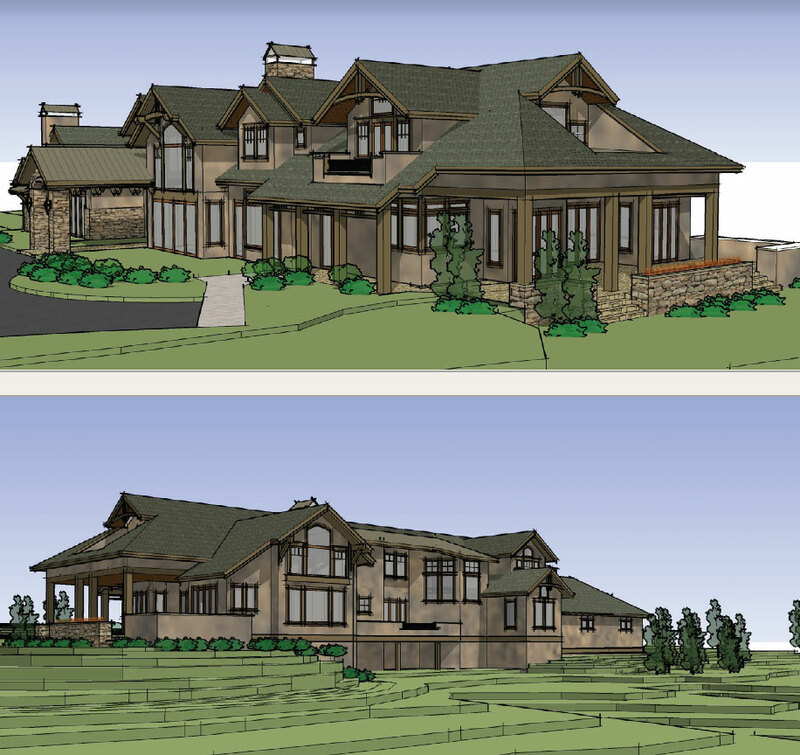 “We have two sets of standards—construction of a home, and how you develop the land around it, including access, roadway widths, and vertical clearance.” Within this comprehensive plan, Tree Farm has standards on materials used for siding and roofing, as well as regulations on landscaping materials, proximity of trees, and use of internal sprinklers in every home. Owners at Tree Farm enjoy the beautiful location, up against and amongst public land, while also having the peace of mind that they’re being conscious of their investment, able to enjoy their space both in their home and in the beautiful location that Tree Farm offers. Situated in the foothills of the Three Sisters mountains, at the gateway to Central Oregon, the town of Sisters balances small-town charm with striking natural scenery, offering a quintessential destination town for residents and vacationers alike. Twenty-five miles northwest of Bend, Sisters supports 2,500 residents and is home to several annual attractions—the Sisters Rodeo, Quilt Show, and Folk Festival. A 37-mile bikeway connects Sisters to the surrounding area, and nearby Suttle Lake offers camping and fishing, with the local Hoodoo Ski Area offering family-friendly skiing. Sisters was a sleepy town 30 years ago, but the growth of nearby resorts like Black Butte Ranch has offered it the face-lift it enjoys today. With authentic western charm, and the classic “Old West” storefronts on its Main Street, Sisters also offers a hospital, grocery stores, and other necessities in addition to many restaurants and the United States’ first-ever “beer spa.” With a home in Sisters, residents can enjoy their retreat while also having access to any necessities they need. Many people are moving to Sisters for just that—enjoying a remote mountain life without spending too much time driving to access medical professionals or get a car repaired. And with Oregon land use laws, sprawl cannot reach Sisters, so residents can rest assured that it will remain a wonderful getaway for years to come. Whether looking for land, a classic ranch, or a turn-key downtown home, this small town is a gem! Abutting public land on much of its margin, Shevlin Commons connects residents with the natural environment that defines Bend. Keith Campbell, President of the Shevlin Commons Community Association, shares the intentional view that defines Shevlin Commons’ development: “Shevlin Commons is designed to provide a lower density transition that approaches Shevlin Park and Deschutes National Forest.” Designed with larger areas of common space and smaller lots in mind, Shevlin Commons naturally encourages reasonably-sized homes with privacy and views. “No lots are back-to-back in the sense that there is always a view of either common space or conservation easement so that owners do not have to design houses that face either predominantly the street or a neighbor’s backyard,” shares Campbell. All homes are custom-built, specifically designed for an original owner. As a whole, the development is landscaped with its natural proximity in mind. “Shevlin Commons, residential and conservation easement landscaping is designed to utilize low-water Central Oregon native plants and to provide a natural landscape transition between residences, the conservation easement, and Shevlin Park,” notes Campbell. Residents of Shevlin Commons enjoy easy access by foot or bike into Shevlin Park and the adjoining public lands; trail users can leave from Shevlin Commons and reach the Three Sisters Wilderness without crossing any paved roads. Views of Mt. Bachelor, Tumalo Ridge, South and North Sister, Broken Top, Black Butte, Mt. Jefferson, and even Mt. Hood can be seen from Shevlin Commons on a clear day. This relation to the natural surroundings is embedded throughout Shevlin Commons, from the design of the homes to the people who choose to live there. Sunriver was established in 1968 and is now 98% built, ensuring that the homes available today will maintain their value; homes don’t risk any encroachment from neighboring properties in the coming years. “Sunriver would be your best bet for remodeling in a highly diversified neighborhood that will remain a popular destination for decades to come,” shares Diven. 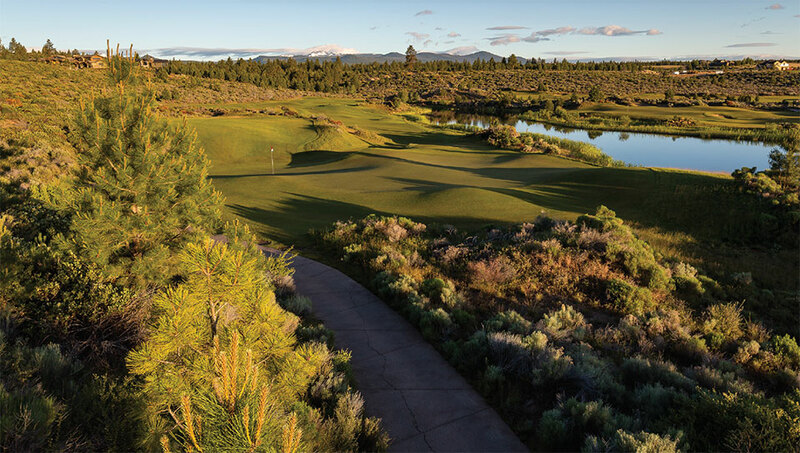 Sunriver’s all-inclusive design includes The Village at Sunriver shopping center, over two dozen tennis courts, five miles of Deschutes River frontage, and 40 miles of walking/bike paths, a private airport, marina, and stables. Caldera Springs is the newest development in Sunriver. 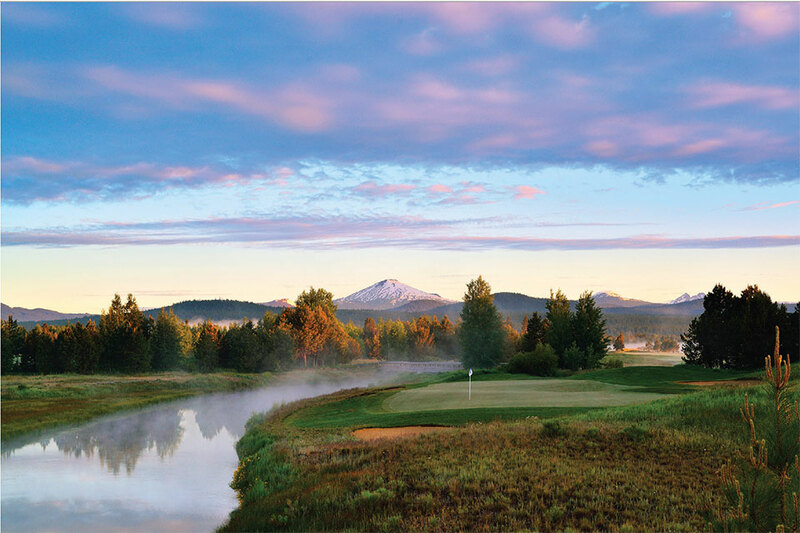 The 400-acre gated community was established in 2006 as a resort within the Sunriver resort. Diven shares the breadth of options, saying, “Caldera Springs offers easy living in the Caldera Cabins, generously-sized home sites for new custom homes, and existing custom homes.” Owners at Caldera Springs have exclusive access to The Caldera Lakehouse, The Quarry Pool and Fitness Center, Caldera Links 9-Hole executive course, a playground, and sports courts, among other perks. 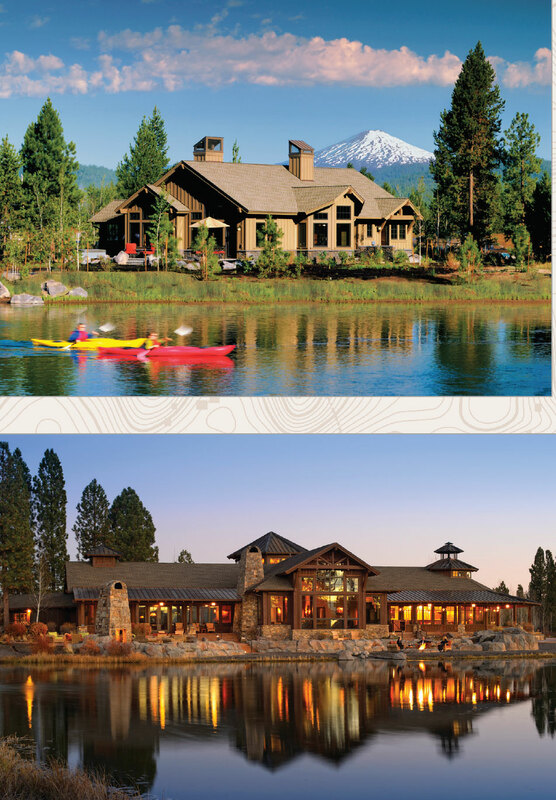 Just adjacent to Caldera Springs and the greater Sunriver Resort, Crosswater offers luxury estate homes on three-quarter-acre lots. This spacious 600-acre development includes a heathland-style golf course, named one of “America’s 100 Greatest Courses” by Golf Digest, and has hosted several PGA Championships. Amongst its exclusive amenities, residents have access to fishing, tennis, and swimming and the Crosswater Club is a private golf and social club for Crosswater residents. 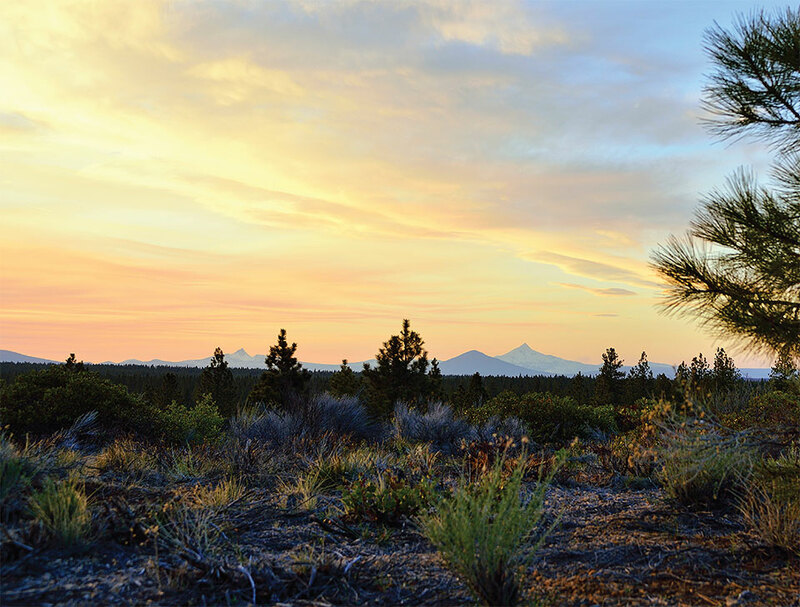 Located just outside the city limits of Bend, the Highlands at Broken Top offers unparalleled spaciousness while maintaining close proximity to downtown Bend. 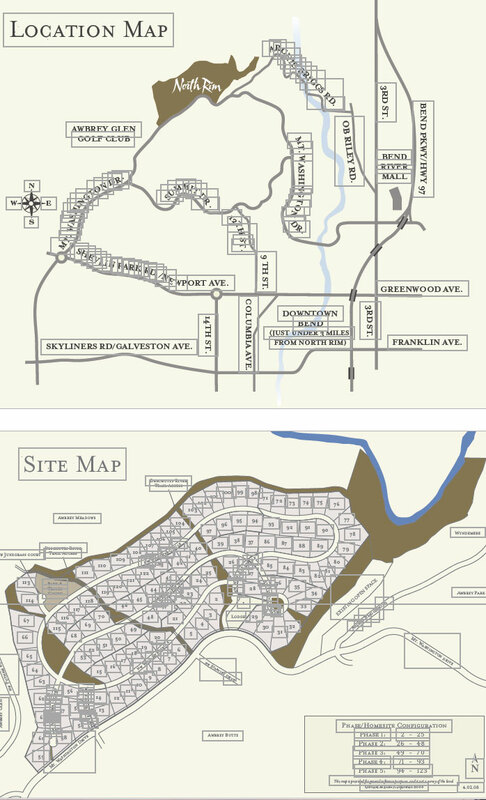 With 53 lots of 10 acres each (any further subdivision prohibited), each homesite preserves a sense of seclusion. Geoff Steelhammer, Board President at the Highlands at Broken Top, shares the exceptional quality of the location, saying, “Nowhere else in Bend provides this combination of large acreage with access to the amenities of downtown.” The Cascade Highlands Trail passes through the Highlands at Broken Top, allowing residents to walk or bike only two miles to Century Drive, or another half-mile to the main strip; by car, town is a quick five-minute drive away. Developed following the Aubrey Hall Fire of the 1990s, the open landscape offered opportunities in the design of the development. “The designers integrated six large meadows into the master plan, residents own their share of these meadows, but building is not allowed within them. 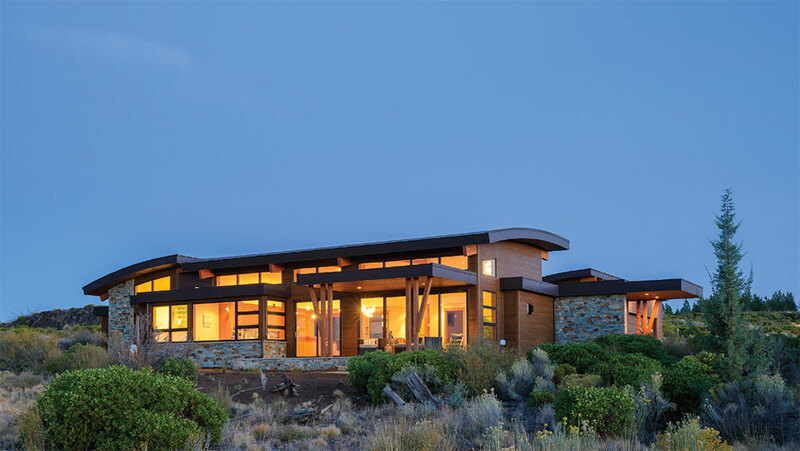 Combined with careful viewshed analysis, the lots were thoughtfully planned to maximize the view of the mountains and minimize views of neighboring homes,” shares Steelhammer. Many of the homes look out onto the meadows, with the 13 furthest west homes nestled in the forest. 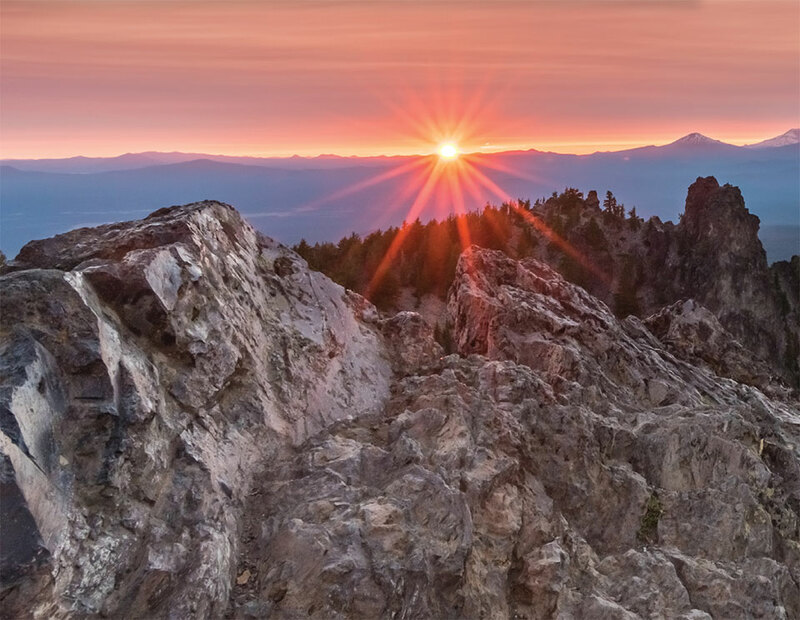 Steelhammer cites the Highlands at Broken Top as a vibrant community with mix of age groups, many with young children, and also many retired residents, all sharing a common value of recreational and downtown access. 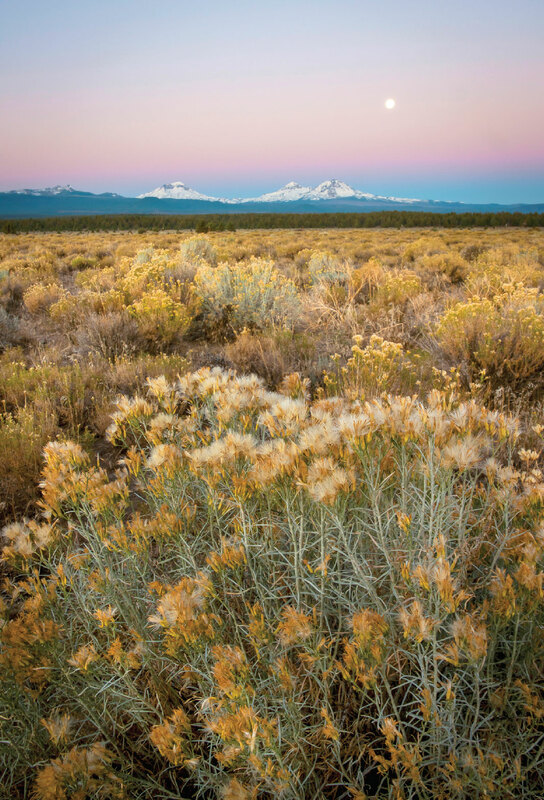 The Highlands at Broken Top has nearly three miles of its own paved walking trails, and access to the Cascade Highlands Trail offers connection to Phil’s Trailhead as well as downtown. A two-and-a-half-acre pond feeds the community’s irrigation system and is also stocked with fish in the summer; it’s a common summer sight to see many children out learning to fly fish right on the premises. Embedded in its rich outdoor environs, the Highlands at Broken Top offers an unmatched combination of downtown convenience with private yet spacious lots, an exquisite value shared by its range of inhabitants.